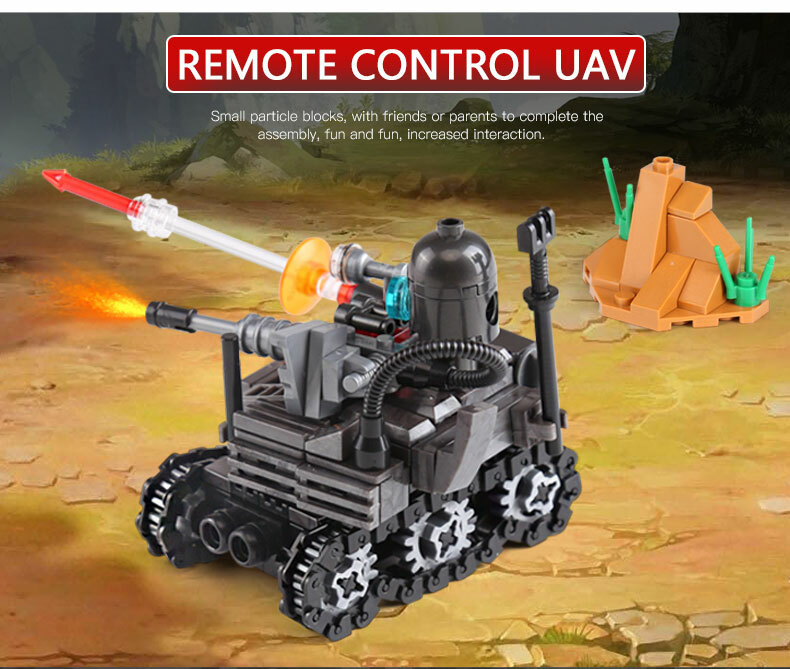 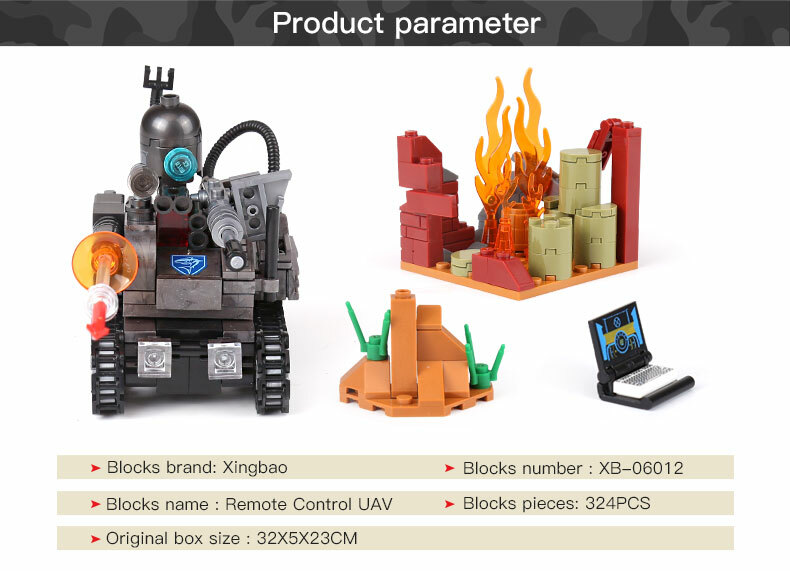 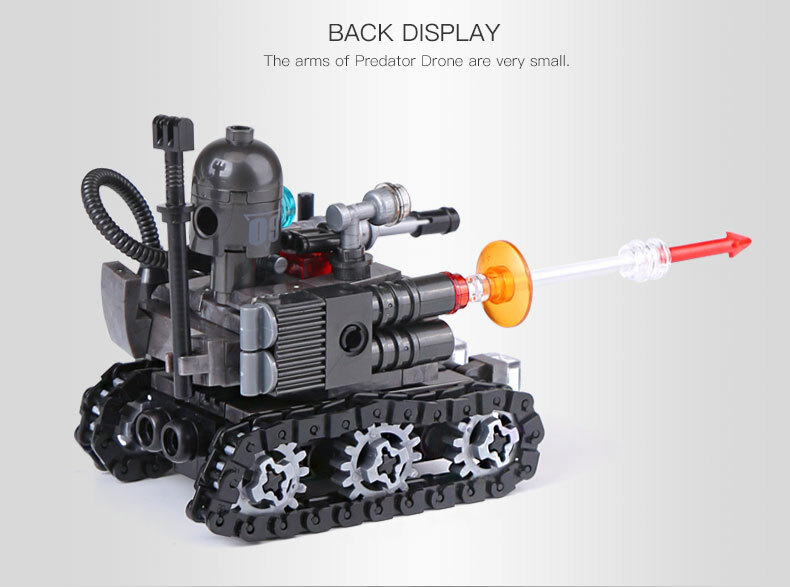 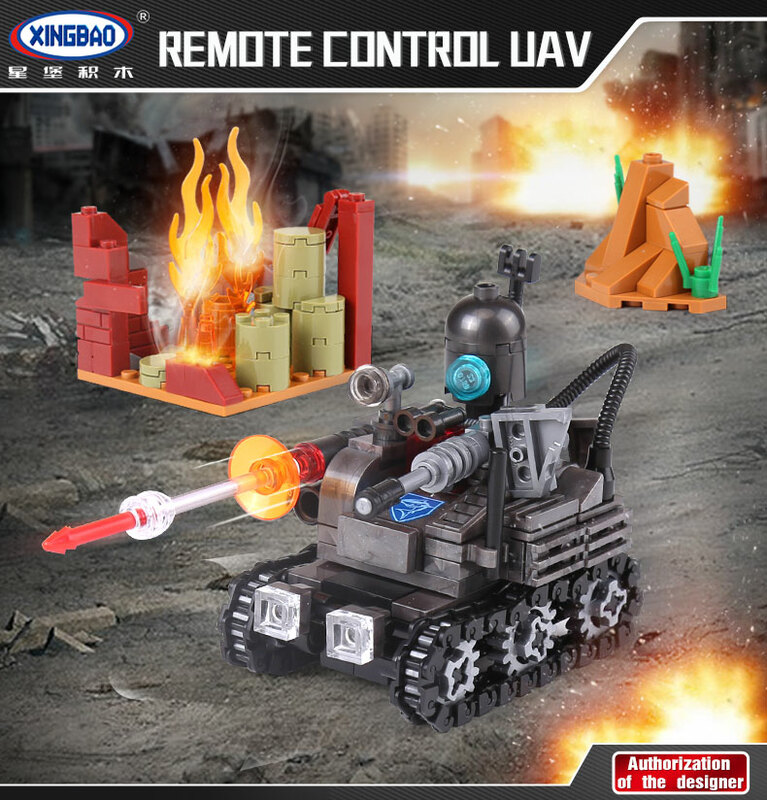 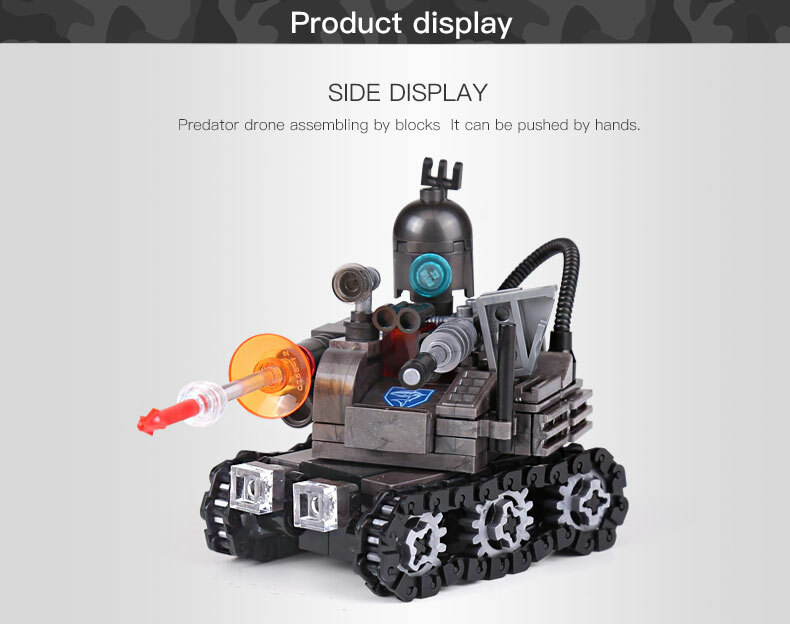 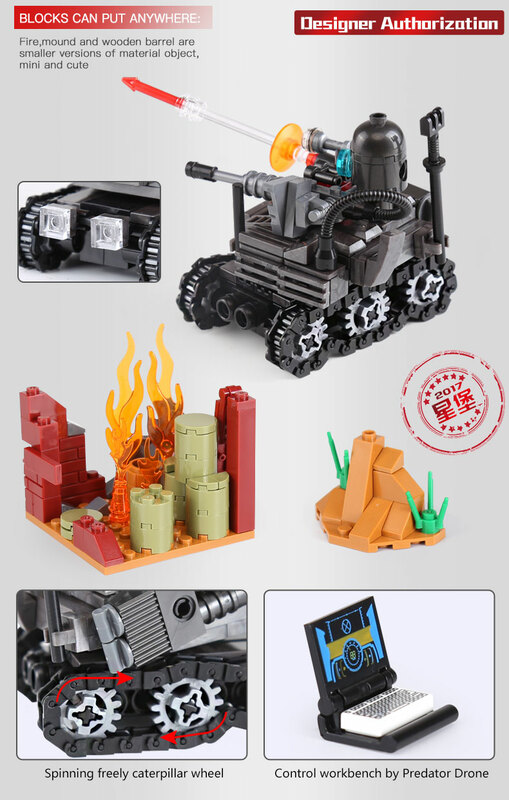 XINGBAO 06016 Remote Control UAV is a MOC (My Own Creation) building blocks set which is 100% compatible with all major brands building bricks. 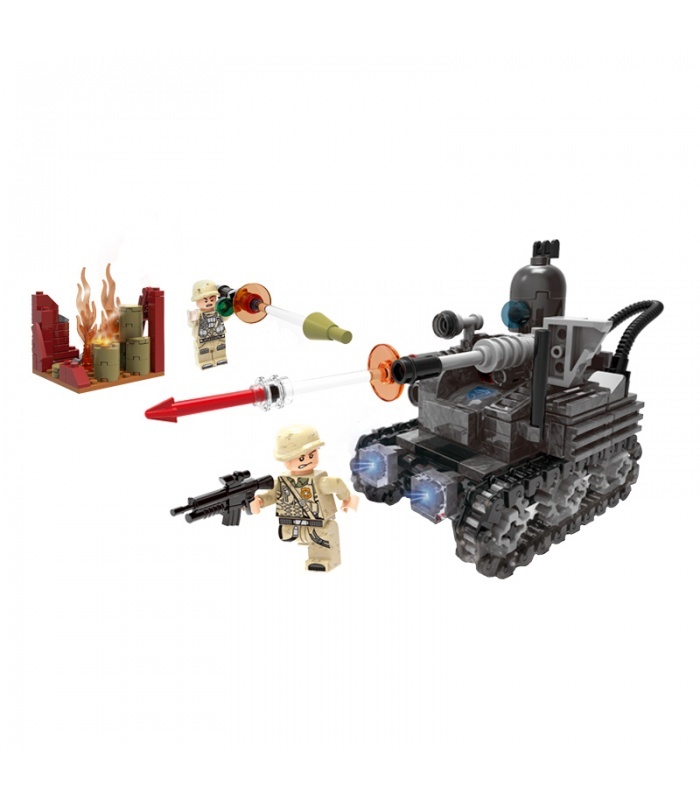 The squad continued to patrol after the bombs were removed from the warehouse in Area A to prevent the enemy from attacking again. 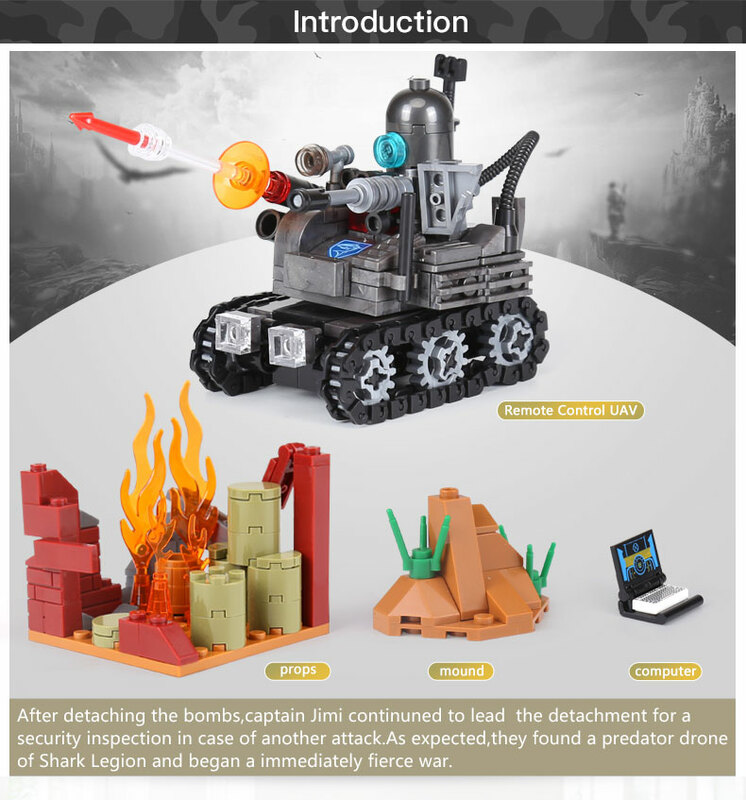 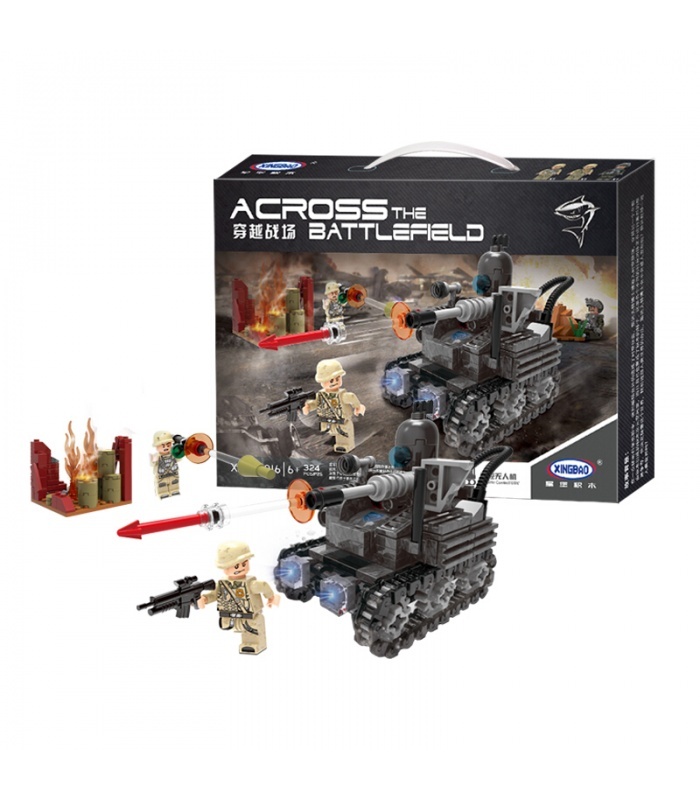 Sure enough, the unmanned fighters of the Sharks Corps were found nearby, and a fierce battle began immediately. 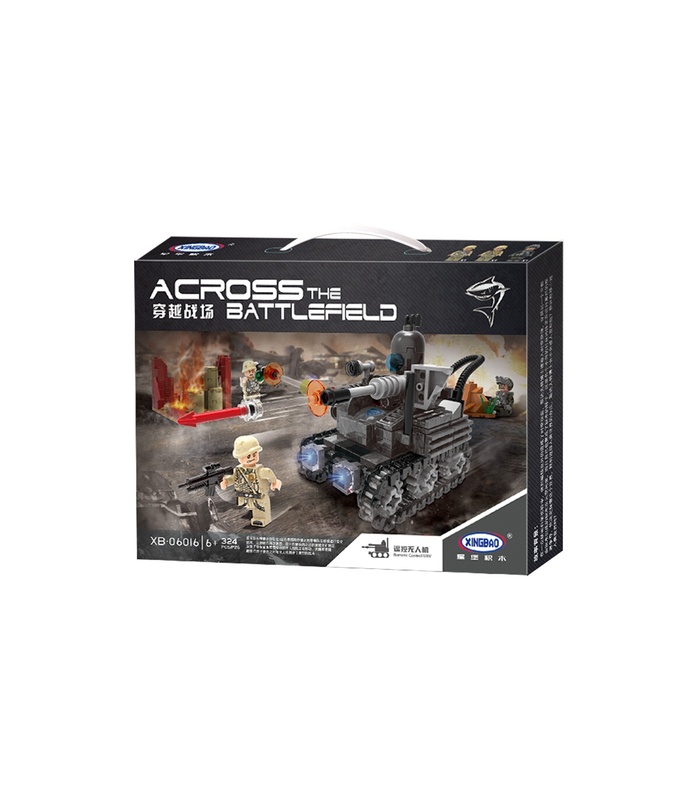 • Features: the muzzle can be rotated 180 degrees, the turret can be rotated 360 degrees, the tracked wheels can be rotated freely, equipped with a drone operating table, detectors, searchlights, infrared sights and cooling infusion tubes. 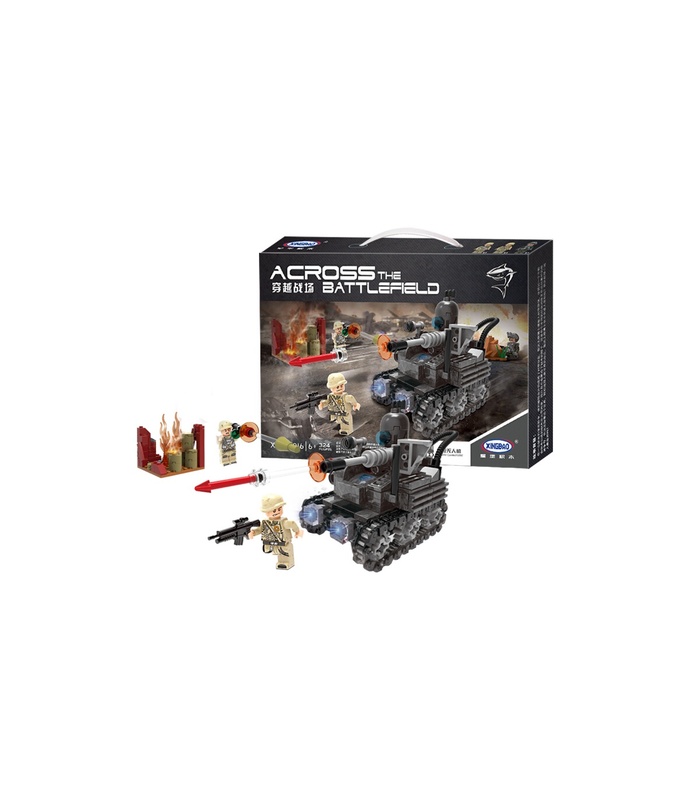 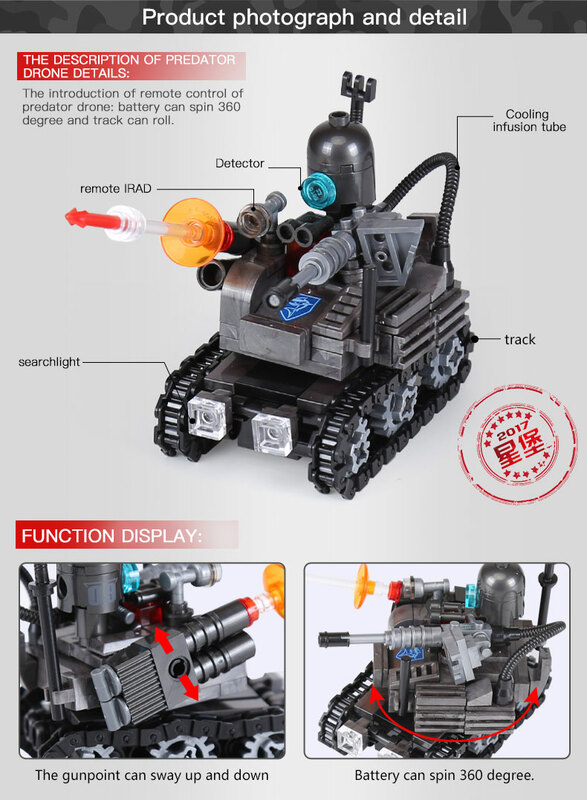 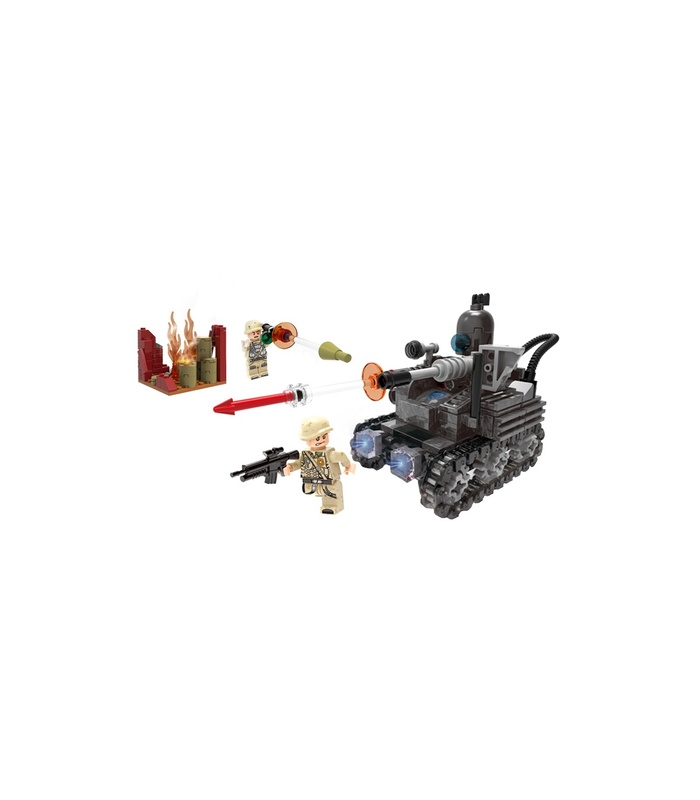 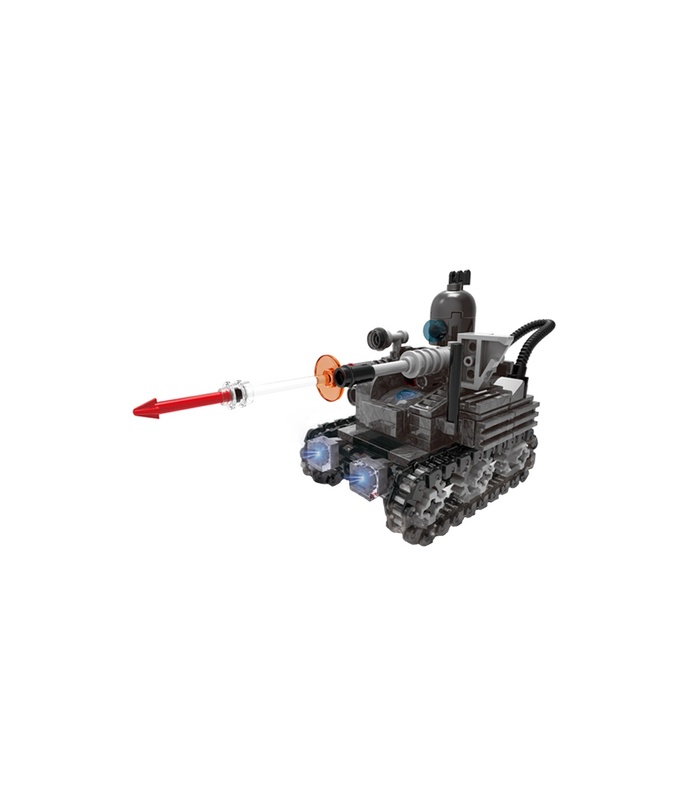 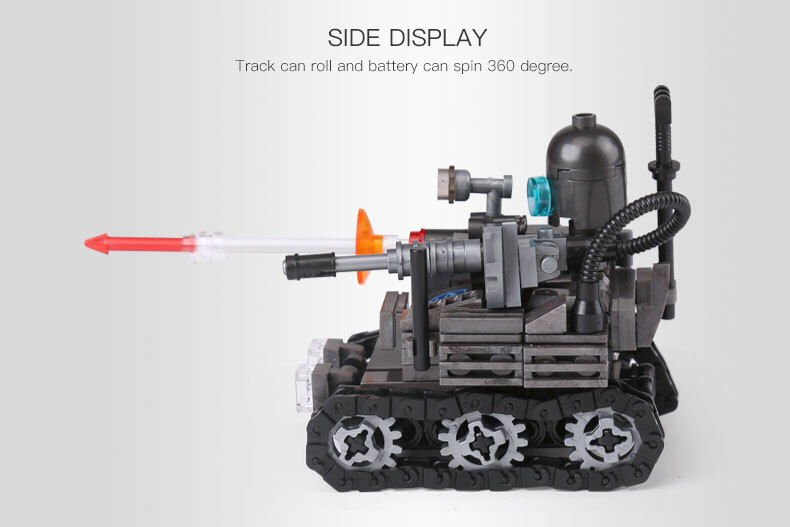 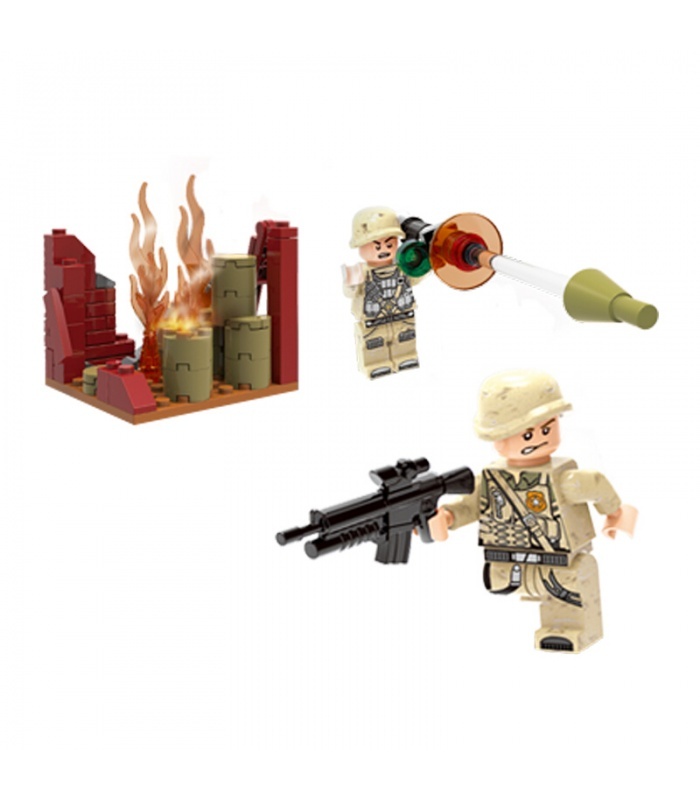 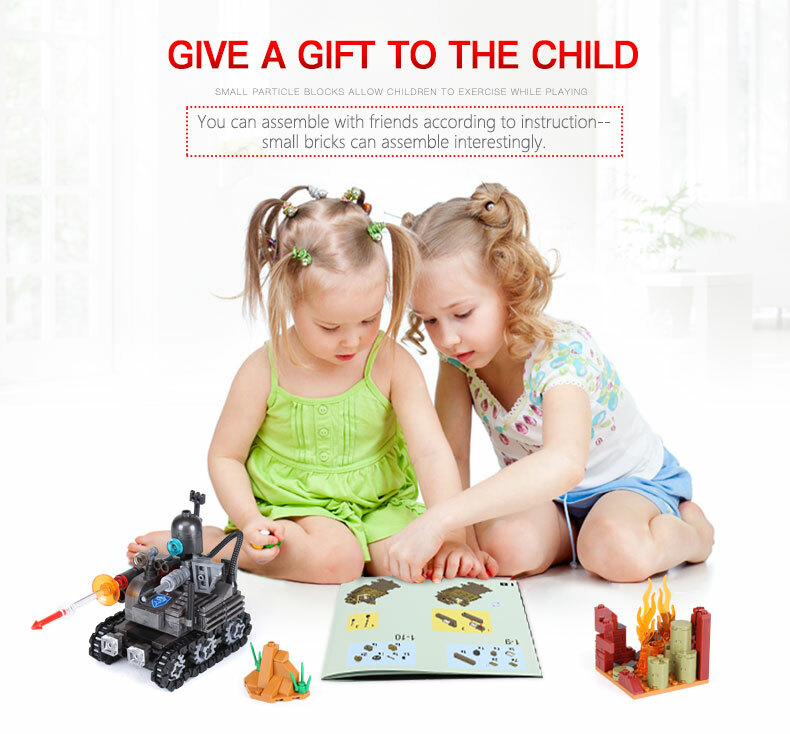 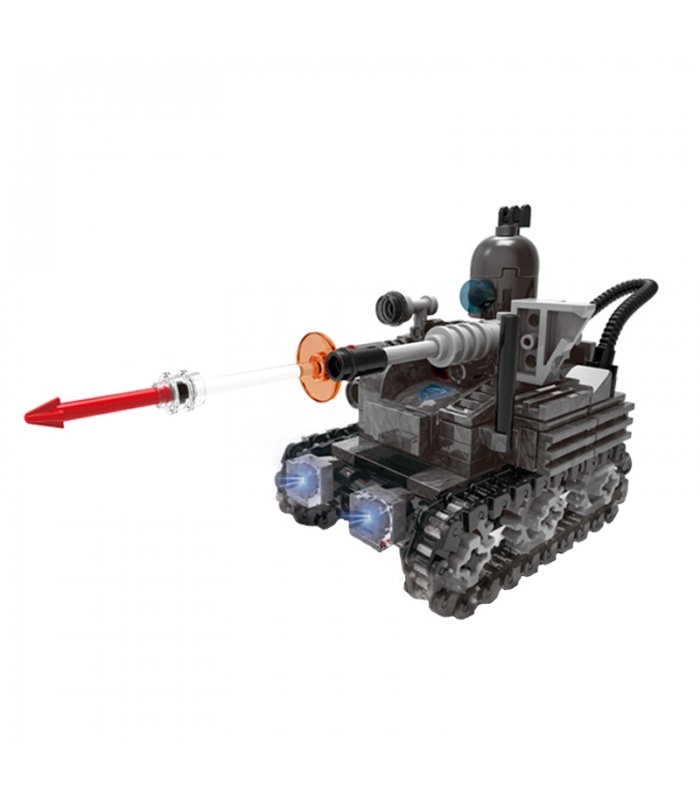 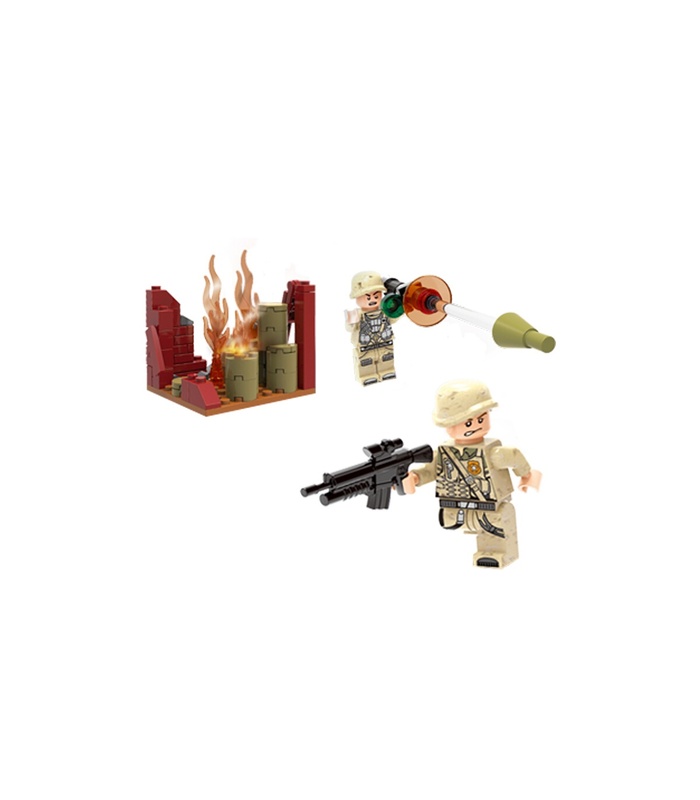 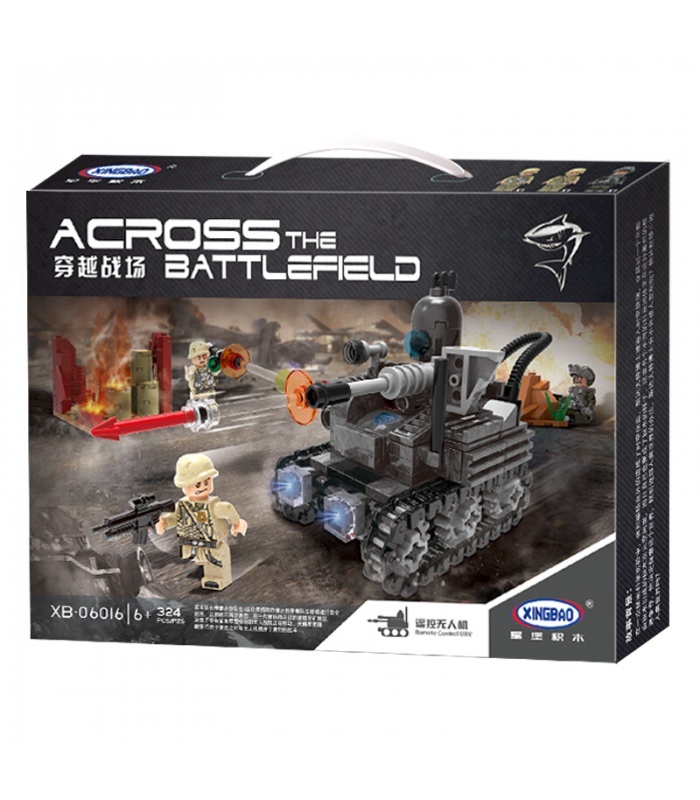 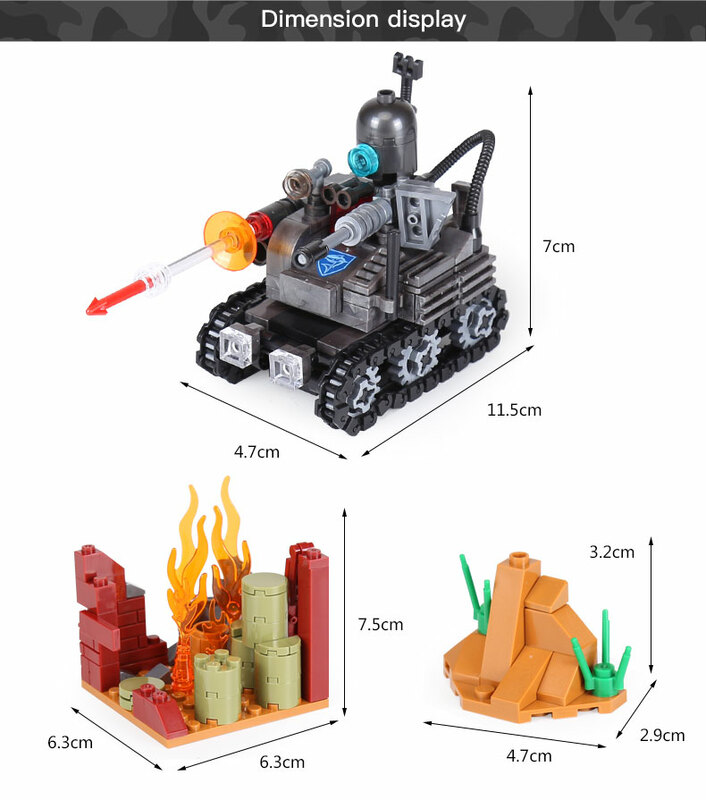 • This set is compatible with brand bricks and contains over 324 pieces.